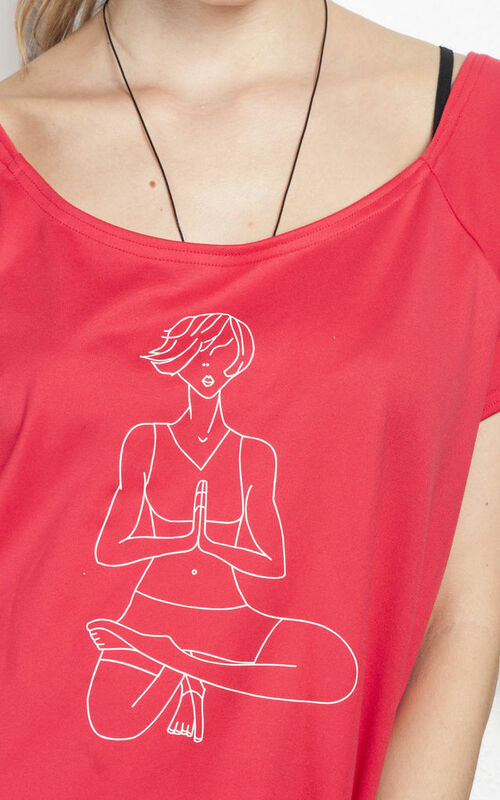 Open back red top with a lovely yoga print. It's a Hungarian designer piece that escaped from the 90s in a flawless condition. Made of a soft fabric. For a UK size 8-12 depending on the desired fit. sleeves (measured from neckline): 20 cm / 0' 7"